Transverse control arm balljoint. Front, left or right hand. See enlarged picture for fitting location (item 107). All model types, except those fitted with 4-Matic (4 wheel drive). German aftermarket replacement part. No need to replace the whole (expensive) control arm, when the balljoint can be replaced separately. 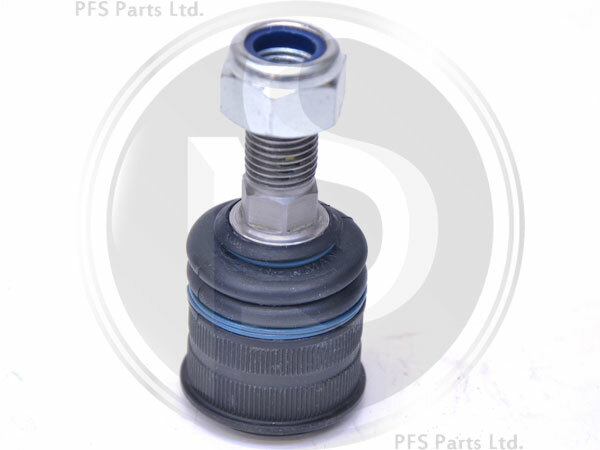 This part has been manufactured to the same exacting standards as the original part fitted to the car when new, and even carries a 2 year warranty! 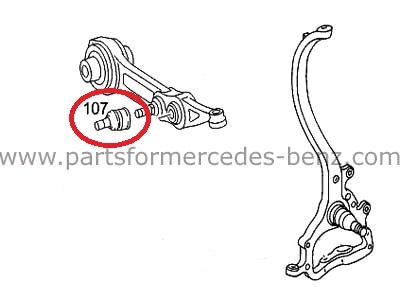 Equivalent Mercedes part numbers, A2113230068, A2113230368 (for reference only).